Did you know? California currently has a $130-billion backlog in state and local road repairs, plus billions more in annual transportation budget deficits. And while a special session was called last summer to focus legislators’ attention to the problem, it does not look like there are any plans in the state’s budget to start fixing our roads. Placer County streets and bridges are deteriorating. 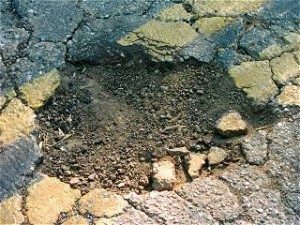 According to the 2014 California Statewide Local Streets and Roads Needs Assessment Report, more than 50 bridges in the Placer region need to be replaced. These deteriorating road conditions costs the average California motorist $762 every year in repairs. If we do not come up with a local source of funding for transportation improvements, these costs will only increase and our roads will only get worse. Read about why our roads won’t get fixed by the state any time soon by clicking here, and learn about our plan to #KeepPlacerMoving by visiting www.keepplacermoving.com.